Yes, you read right. 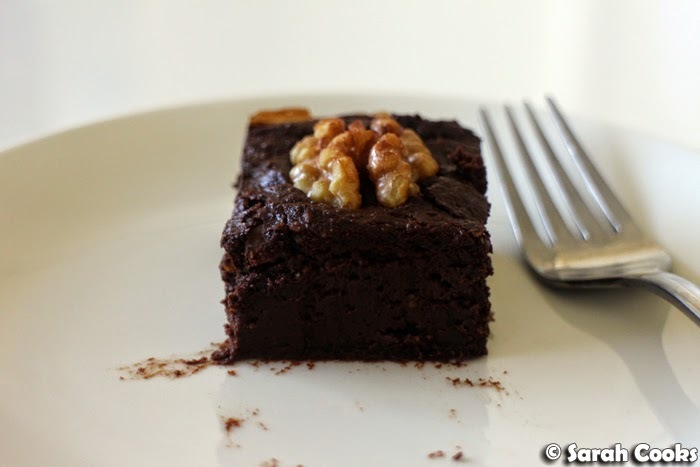 Dense chocolate avocado brownies! As with my previous avocado baking endeavours (vegan chocolate avocado cake with chocolate avocado icing; avocado chocolate marble pound cake), these brownies followed my usual path: I couldn't keep up with my avocado subscription, and was forced (forced, I tell you!) to bake something chocolatey with them! 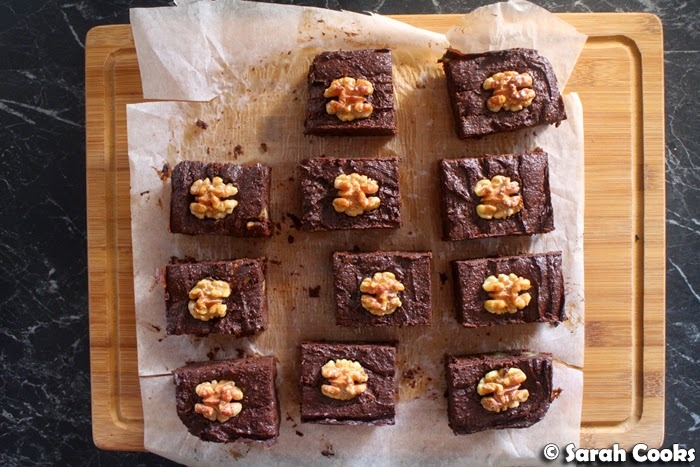 I adapted this recipe from the chocolate-walnut avocado brownies on The Iron You, a health and fitness blog written by a "triathlete, yogi, health enthusiast and food lover", whose motto is "Eat Well. Exercise More." I can totally get down with that! The main change I made to his recipe was to replace the suggested coconut sugar with light muscovado sugar. Although I love coconut sugar on yogurt or in coffees, I'm not a big fan of it in baking, finding its distinctive flavour a bit overpowering. Muscovado sugar, on the other hand, has a rich toffee flavour that is perfect for so many different types of baking, and gives a squidgy moist grainy texture to brownies. Heaven. 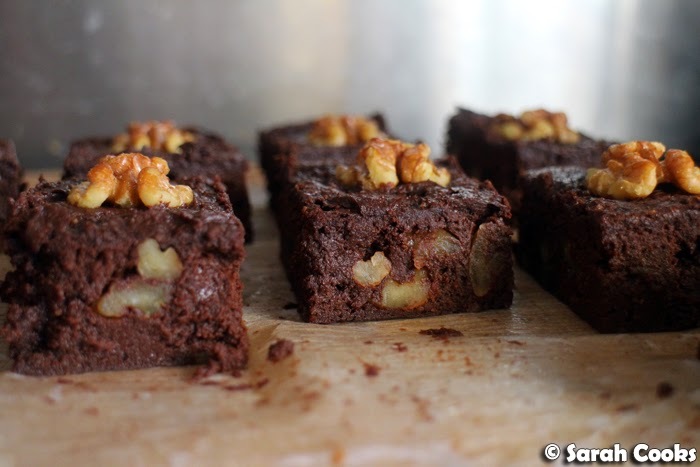 ... and these brownies were super easy to put together! Gah, avocados are sooooo delicious. 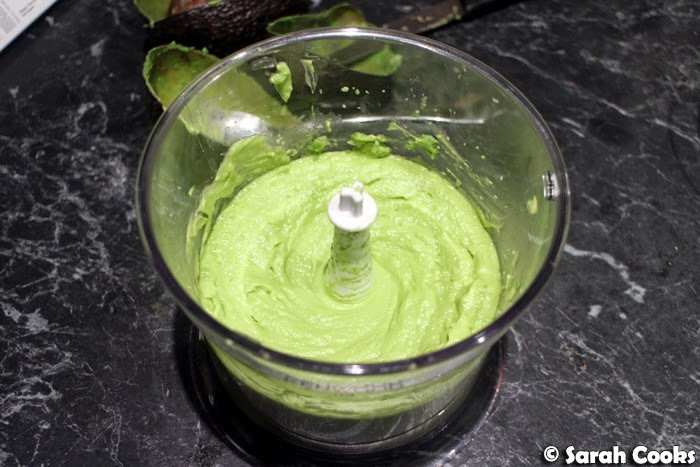 I whizzed them up in a mini food processor to get a really smooth texture. 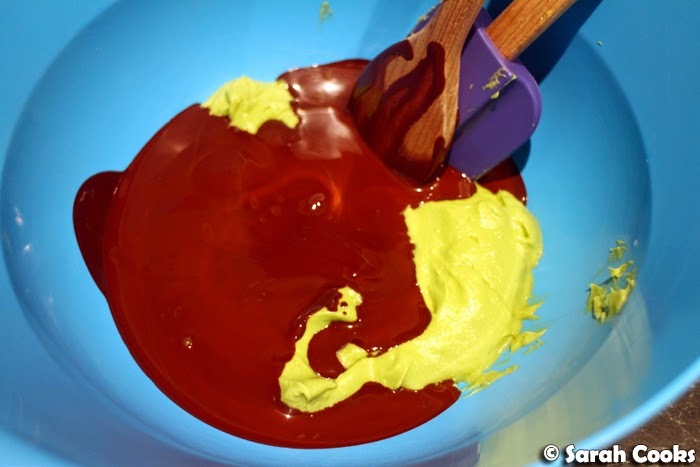 It looks so cool when you pour the melted chocolate and coconut oil into the avocado! Line a 20 centimetre squared baking tin with baking paper. 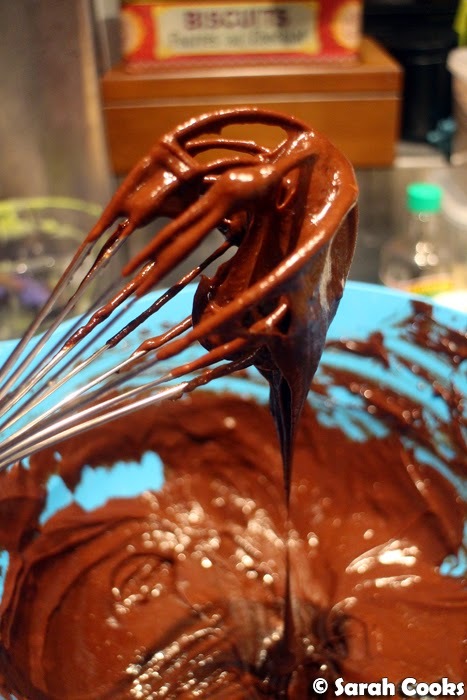 Melt the dark chocolate and coconut oil, either in the microwave on medium, or in a double boiler, stirring occasionally until completely melted and smooth. Set aside to cool slightly. 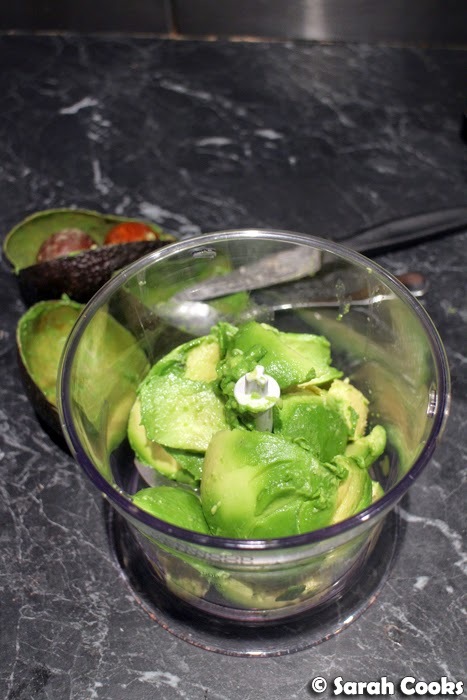 Mash the avocado flesh until completely smooth. 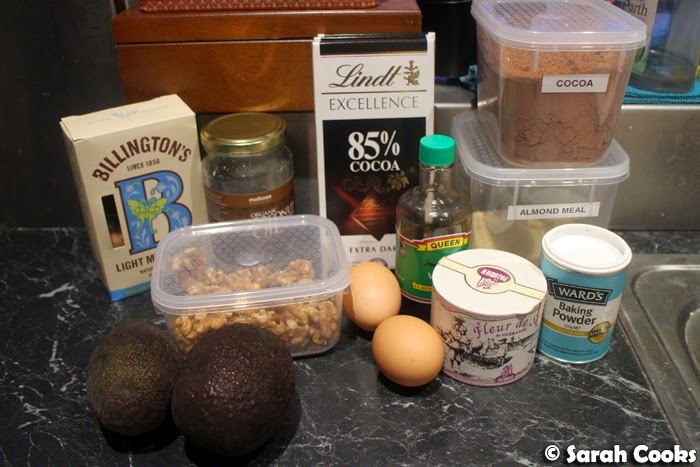 Add the chocolate and coconut oil mixture to the avocado. Whisk in the sugar, followed by the eggs and vanilla extract. Sift in the cocoa powder and baking powder. Add the almond meal and salt, stirring gently to combine. Scrape the mixture into the prepared tin, smoothing the top. 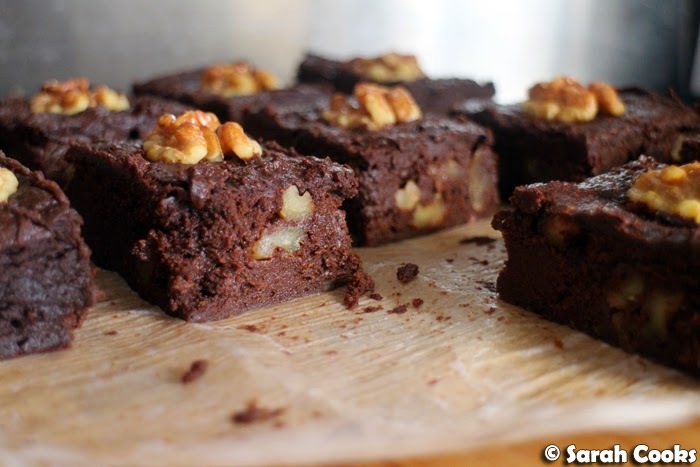 Press the whole walnuts evenly into the batter. Bake for 25-30 minutes, or until the brownie is set. A cake tester will still come out with damp crumbs clinging to it. 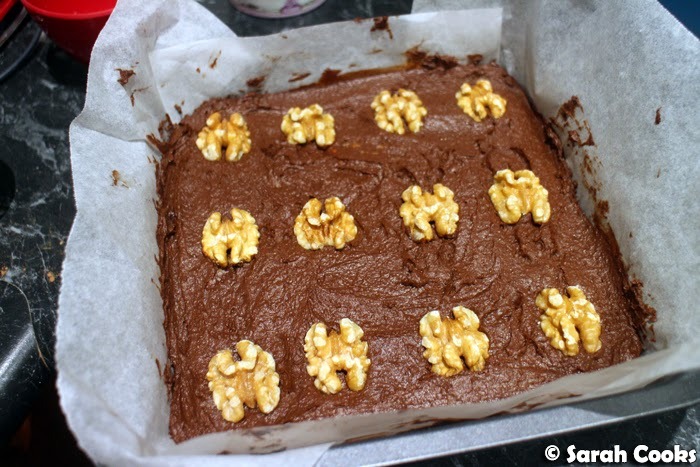 Allow to cool completely before cutting into 12 squares. Arggh...they look so moist (urgh, I hate the sound of that word), rich and seriously sinful. I wish you didn't put in that line about it being an occasional indulgent treat though, because I could honestly convince myself that it's a 'healthy' treat because it has avocado in it! 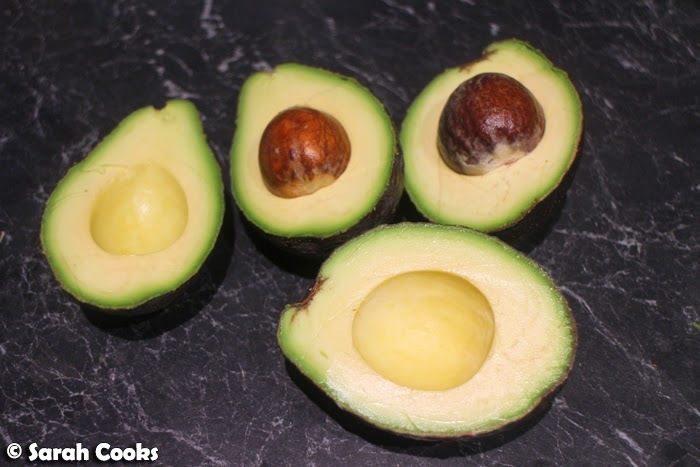 These look AMAZING - assume they are very healthy with all that avo?! So lush. Will have to give this recipe a whirl! And egg yolks are definitely an emulsifier - that's how mayonnaise works!